A leading scholar of American history, Joseph J. Ellis is a Pulitzer Prize and National Book Award winner for his biographies of our nation's earliest presidents. Ellis is a distinguished professor and seasoned speaker who regales audiences with stories of George Washington, Thomas Jefferson, and other U.S. presidents. Joseph J. Ellis is a renowned historian and leading scholar of American history. 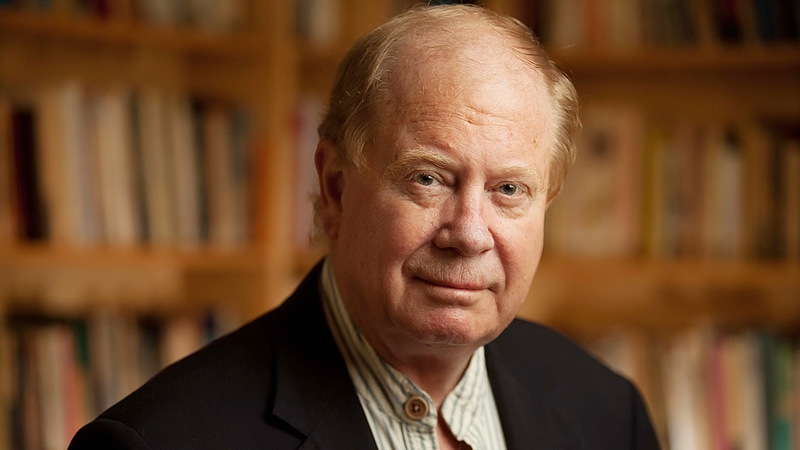 He is the author of the Pulitzer Prize–winning Founding Brothers: The Revolutionary Generation and the National Book Award–winning American Sphinx, a biography of Thomas Jefferson. His book The Quartet is the unexpected story of why the thirteen colonies, having just fought off the imposition of a distant centralized governing power, would decide to subordinate themselves anew. Most recently, he published American Dialogue: The Founders and Us. 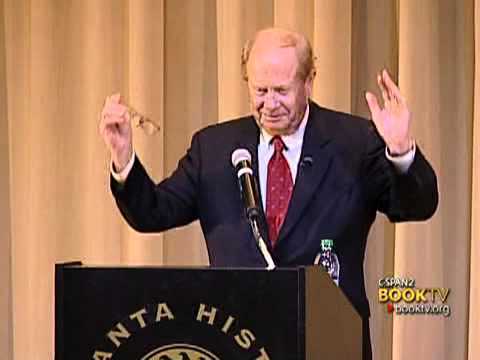 Ellis is one of the most widely read scholars of the Revolutionary period and a sought-after speaker for his unparalleled expertise on the lives of our nation’s early presidents. He fascinates crowds with detailed stories of these leaders, demonstrating how their politics and characters shaped the United States. In examining the extensive contributions of each of these men, Ellis instills in his audiences a new appreciation for their presidential achievements. His in-depth chronicle of the life of President George Washington, His Excellency: George Washington, and a joint biography of John and Abigail Adams, First Family: Abigail and John Adams, were New York Times bestsellers. His latest book, Revolutionary Summer: The Birth of American Independence, was published by Knopf in June 2013. Ellis contributes regularly to national publications, including The New York Times, Los Angeles Times, The Wall Street Journal, The New Republic, and The New Yorker. He has appeared on CBS, C-SPAN, CNN, and in several PBS documentaries on early America. He lives with his wife in Amherst, Massachusetts. Drawing on his most recent book, Pulitzer Prize–winning historian Joseph Ellis tells the unexpected story of America’s second great founding and of the men most responsible—Alexander Hamilton, George Washington, John Jay, and James Madison. Ellis gives a dramatic portrait of one of the most crucial and misconstrued periods in American history: the years between the end of the Revolution and the formation of the federal government. He unmasks the myths, and presents an even more compelling truth—one that lies at the heart of understanding the creation of the United States of America. What's the Fuss About the Founders? Drawing on his book Founding Brothers, Joseph Ellis explores how a group of greatly gifted but deeply flawed individuals–Hamilton, Burr, Jefferson, Franklin, Washington, Adams, and Madison–confronted the overwhelming challenges before them to set the course for our nation. The United States was more a fragile hope than a reality in 1790. During the decade that followed, the Founding Fathers–re-examined here as Founding Brothers–combined the ideals of the Declaration of Independence with the content of the Constitution to create the practical workings of our government. Through an analysis of six fascinating episodes–Hamilton and Burr’s deadly duel, Washington’s precedent-setting Farewell Address, Adams’ administration and political partnership with his wife, the debate about where to place the capital, Franklin’s attempt to force Congress to confront the issue of slavery and Madison’s attempts to block him, and Jefferson and Adams’ famous correspondence–Joseph Ellis brings to life the vital issues and personalities from the most important decade in our nation’s history. The summer months of 1776 witnessed the most consequential events in the story of our country’s founding. While the thirteen colonies came together and agreed to secede from the British Empire, the British were dispatching the largest armada ever to cross the Atlantic to crush the rebellion in the cradle. The Continental Congress and the Continental Army were forced to make decisions on the run, improvising as history congealed around them. In this lecture, Joseph Ellis meticulously examines the most influential figures in this propitious moment, including George Washington, John Adams, Thomas Jefferson, Benjamin Franklin, and Britain’s Admiral Lord Richard and General William Howe. He weaves together the political and military experiences as two sides of a single story, and shows how events on one front influenced outcomes on the other. In this lecture, Joseph Ellis brings John and Abigail Adams to life against the backdrop of the United States's tenuous early years. Drawing on over 1,200 letters exchanged between the couple, Ellis tells a story both personal and panoramic. We learn about the many years Abigail and John spent apart as John’s political career sent him first to Philadelphia, then to Paris and Amsterdam; their relationship with their children; and Abigail’s role as John’s closest and most valued advisor. Joseph Ellis delivers a deeply researched account that gives audiences a revealing portrait of a marriage and a unique study of America’s early years. In this lecture, Joseph Ellis focuses on George Washington, a figure who sometimes seems as remote as his effigy on Mount Rushmore, in order to show audiences the many facets of the man who became our first president. Without shying away from the tensions inherent in Washington’s character, Ellis helps audiences better understand not only the man himself, but the source of his leadership and the nation he helped bring into being. The session was great! Joe was easy to work with and completely entertaining & informative for the audience. He is such a wealth of knowledge, I’m sure our folks would have kept him there all day if they could have. Joe was a great success. His talk incorporated some moments of humor, always a positive thing, and the audience was clearly rapt. He got our five part series off to a great start. We were extremely pleased with Dr. Ellis’s lecture. He was gracious and animated with our guests. Williamsburg is a very diverse town. Dr. Ellis gave everyone food for thought. His observations were historically significant, relevant to today, and memorable. A lucid and authoritative examination of America's tumultuous beginnings, when the Founding Fathers grappled with issues of race, income inequality, law, and foreign policy—all issues that still vex the nation. . . These and other salient questions inform Ellis' vivid depiction of the controversies swirling as the Constitution was drafted and ratified. . . A discerning, richly detailed inquiry into America's complex political and philosophical legacy. Joe Ellis knows that history is not simply about the past, it’s about the present having a conversation with the past. In this elegant and fascinating book, he conducts a discourse between our current troubled times and the period when our founders crafted our national creed. The result is an exploration of our values that is both timely and timeless. Vivid. . . Ellis writes with insight and acuity in the present tense, just as he always has in the past tense, and in American Dialogue he draws connections between our history and our present reality with an authority that few other authors can muster. The author is a sure-handed and entertaining guide through the thickets of argument, personality and ideology out of which the American nation emerged. 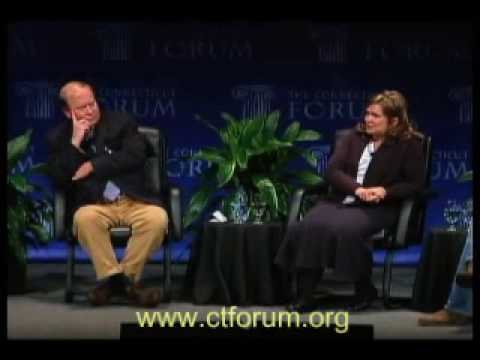 Ellis shows the extraordinary capacity of these four leaders to understand the events, discuss them dispassionately, explain them to the American people, reach compromise, rise above pettiness and sacrifice personal wealth, power and popularity for the long-term public good. Given the rarity of these qualities today, Ellis’ book is a compelling reminder of the political virtues that created the American republic. 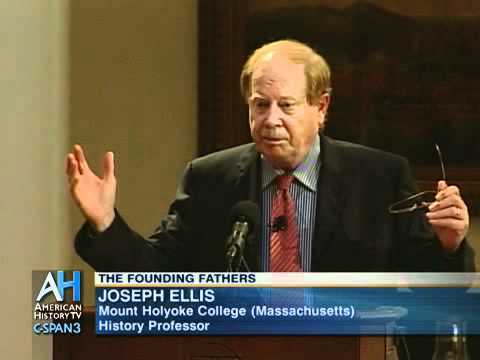 Ellis lives and breathes the Founders, and he deploys his customary zip and trenchant scholarship in showing how four central figures—Washington, John Jay, Alexander Hamilton and James Madison—conceived and promoted a new political framework built on the Constitution. Ellis, who was awarded the Pulitzer Prize for Founding Brothers: The Revolutionary Generation, is always a dependable guide through the early days of the new nation…[He] gives us a feeling of that time when the quest for liberty began, and we come away knowing that those who took up that quest would not waver and, against all odds, they would win. It’s a poignant counterpoint to the well-worn narrative of Washington’s deification and a tribute to Mr. Ellis’s sympathetic grasp of human nature.